Hi-Hat tambourine with LP’s exclusive muting feature. 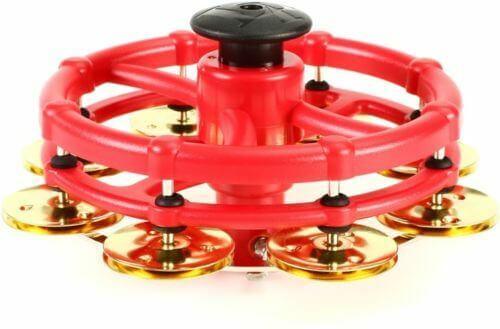 Adds bright tambourine sound to any standard hi-hat pull rod with easily muted jingles by activating the ‘click’ feature with your fingertips. Strike the tambourine while muted for a quick trashy effect.